What is blogging it is so confusing , I do not know what , where and when to blog! Simple friends, its a journal shared through the net. This is one way of improving our creative writing , our grammatical structures ,and giving us confidence to build up our writing skills. Through feed back we are able to intereact accept any mistakes if any , and make freinds too, through meaningful dialogue, and exchanges of the content written. Writing is very important in language development, the learner can attempt step by step. You can start with simple topics like any special fruits grown in your country flowers foliage, be it nature , history ,culture , whatever! How did you guys feel attempting on your first blog? like the picture beneath? On my first experiece I was so nervous .Having day to day experience of writing my self, I was yet flustered, I am indeed grateful for the encouragements of my beloved friends. I have not written for a long time , the usual question I ask what to b----g?? Yet when thoughts are collected I just penn down my thoughts and am free as a bird. Each person have their own style of writing , presentation and uniqueness , which makes it all the more intersting to read and exchange views. It is nice to note there are sites which will pay for blogging. So many resources are available for us to tap our potentiality to the maximum. So friends those of who are new , do not fear , that is if you do. Start expressing your thoughts, through a blog ,and reach the ultimate heights of mastering your fluency in English.I wold penn of with note itis ideal and interesting when we penn down our thoughts through visuals, thus making the journal, very colorful and interesting. I am posting a liink which may come useful too. Teacher Salim , thank you ever so much for the link you have posted on the comment box. It is a gold mine for those who wish to enhance their writing abilities. I will copy paste to this blog , just in case the page changes ,and it's not seen by the reader. Important link for the writer -suggested by teacher Salim. Wishing you happy blogging and a very happy new year 2011. Your blog post is like a good book! It has interesting thoughts and significant illustrations. Thanks! Blogging is existing in MyEC. You get popularity, friendship and a place at the top stars by blogging and interacting in MyEC. You will get addicted easily. What is a blog? Good question. I had no idea until I joined MyEC. You write something and others add some comments on it, which is a blog in my mind. I wonder whether MyEC could have been so popular if there was no blog on it. I enjoy reading blogs by MyEC members. 2010 was very hard for all business and none business companies and people ,there are many companies lost there business and stop working , and other face so many problem of paying back the worker salary or to keep the work moving because the banks stop send the money as the agreement ,and the banks also had the same problem so many people get too mach loons or credit and no one have enough money to pay the bank back. To know more about the reason why world economy had the most problem ever had since 1940 like what i read and hear , because there are many people lost thier jobs and other lost piece withen thier family and life and other lost thier power as companies or managament . Most of the people said the main problem coming or start from the US economy or US banks or US economic plans or from faild one of the power ful and world wide company ,that is because all the world companies look at the US as aleader and they felow all news and want to be part with US companies ,to feel safe and also to be in sector from any problem ,they belive that american sestem is so enteligent and he is belive me.and does not leave any thing by chance because US study the business very good ,and make the perfict rulles to keep the business keep moving, successfull, keeping growing from small idea to be the world wide company , so if any problem touch the main or the mother company in US naturlic all company around the world has something to do with this company will suffer from the same problem . I think i am traing to find out or to be close to give the idea how start and fall the economy in the all world in the last three year .and i hope ,praying to allah to be held and success and to grow great bussenss strong economic plan to have all people back to there jobs all companies are stop working to be back to business again with all there worker and safe so many family life..
2010 is almost gone for ever , i hope every one had adream in the last year to have it in the new years done, also to all my friend who had any kind of problem in the last year i wish them happy life with all success .. Very practical suggestions. Thanks for your nice post. Wow, nice question by Ohnie! Hmmm...write a blog and get paid? 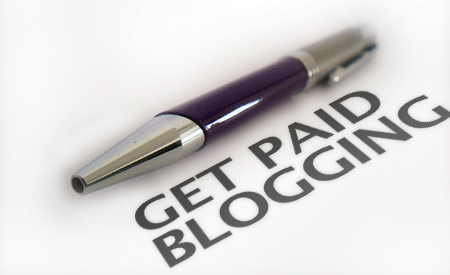 How about read a blog and get paid? Is there such a place??? I was really nervous when I wrote my first blog, and I still feel nervousness while writing a blog. Your blog is very helpful for most, if not all, of us. Thanks a lot for this useful and wonderful blog. Thanks a lot for the links too. Your photo selection for blog is wonderful as usual.